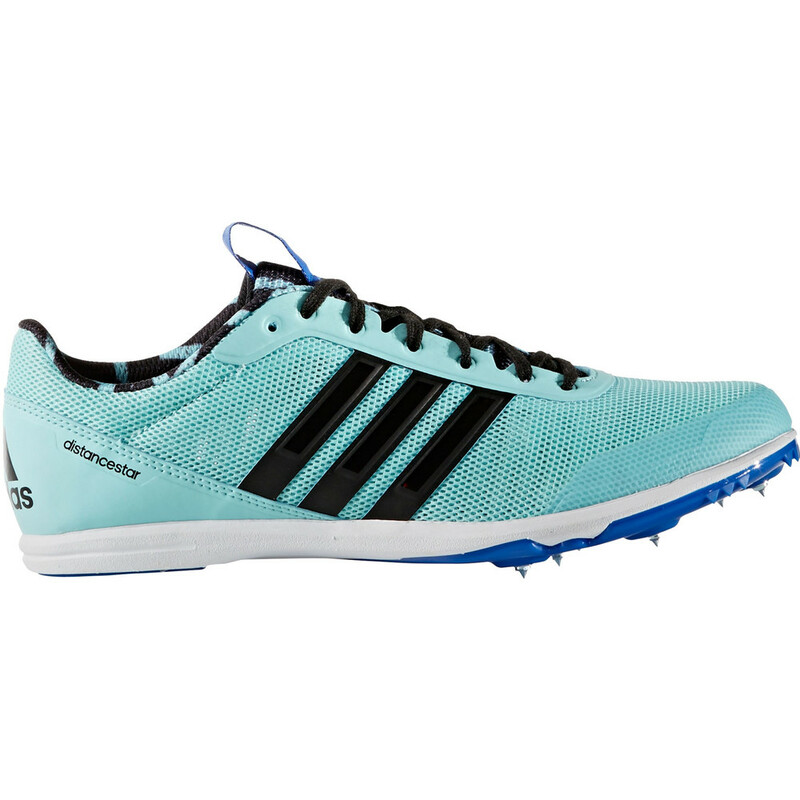 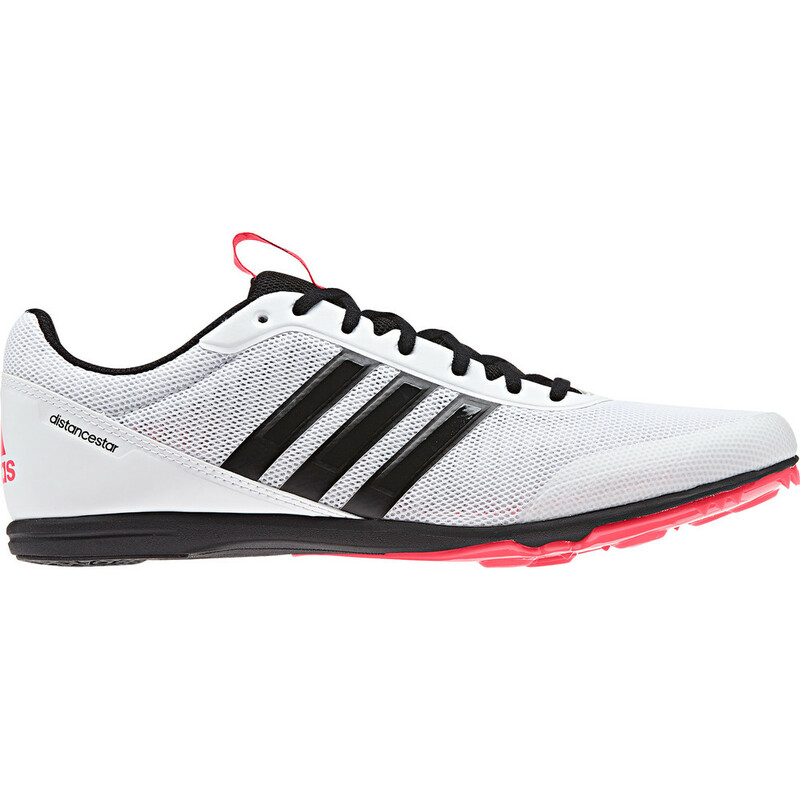 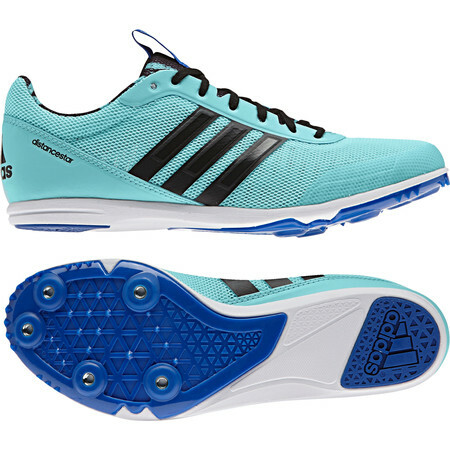 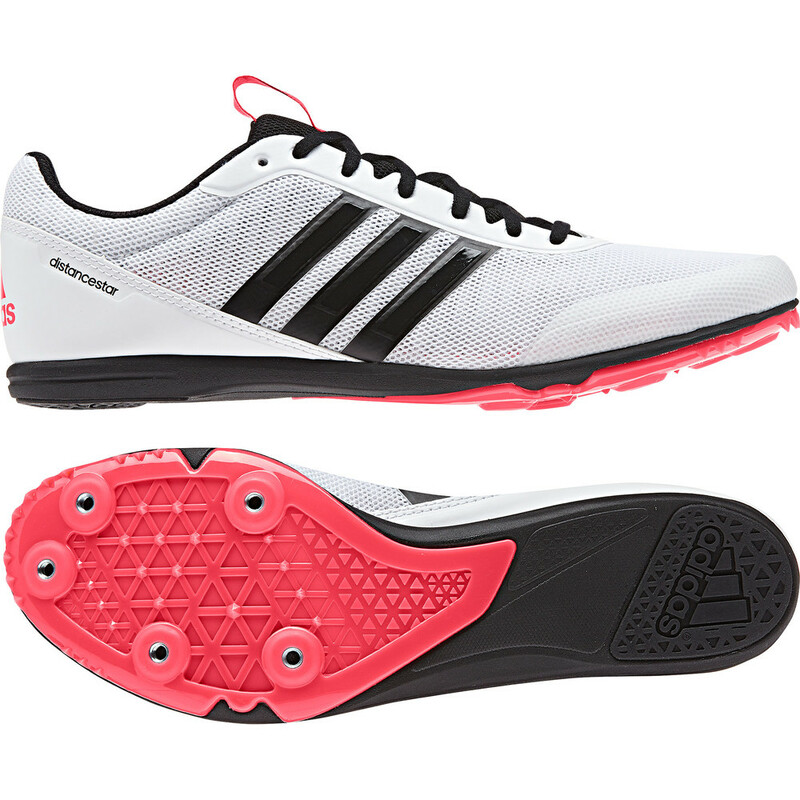 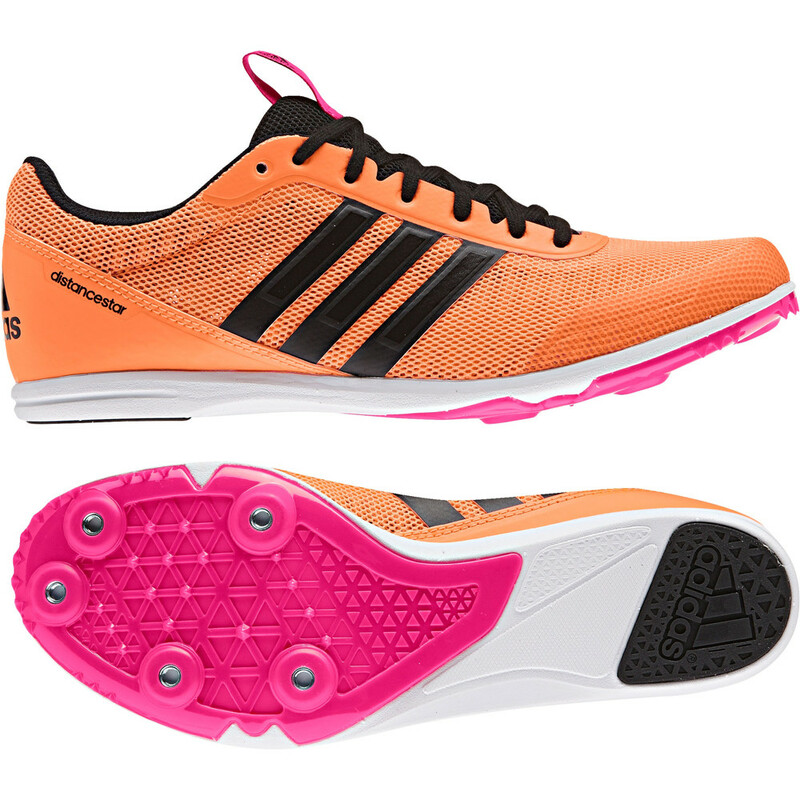 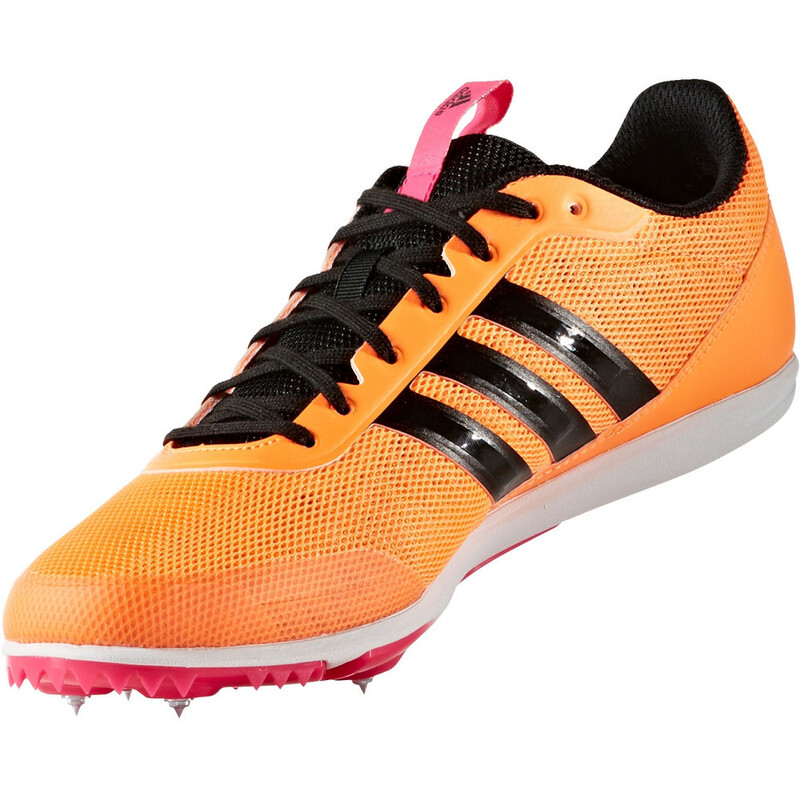 The women's Distancestar is Adidas’ versatile all-purpose athletic spike. 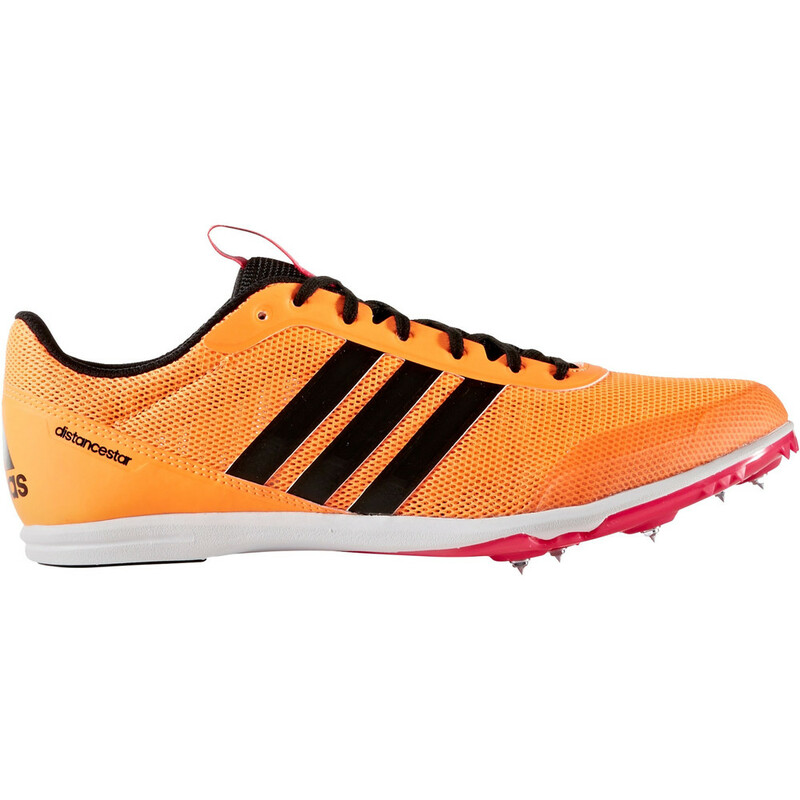 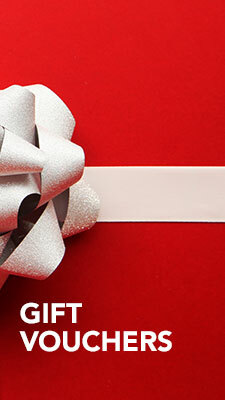 Suitable for any distance from sprints, through middle distance and up to long distance track running. 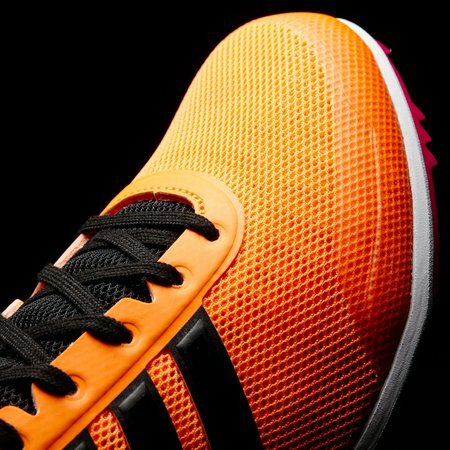 Also great for beginner jumpers. 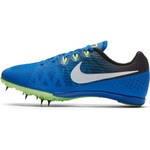 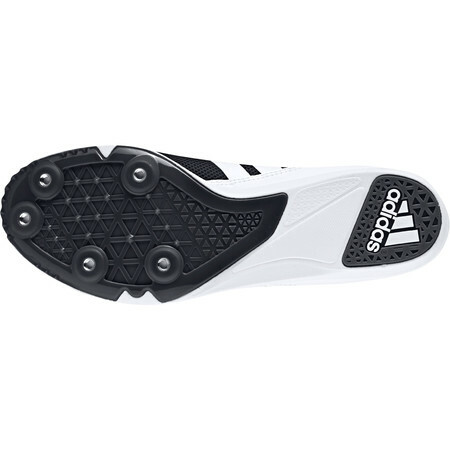 An excellent competition track spike. 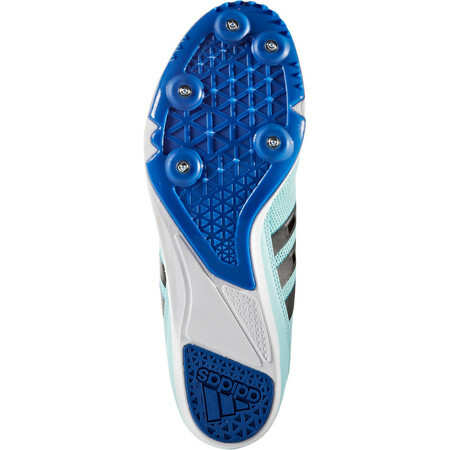 Comes with a set of 6mm spikes and a spanner. A thin EVA midsole cushions and protects the foot. 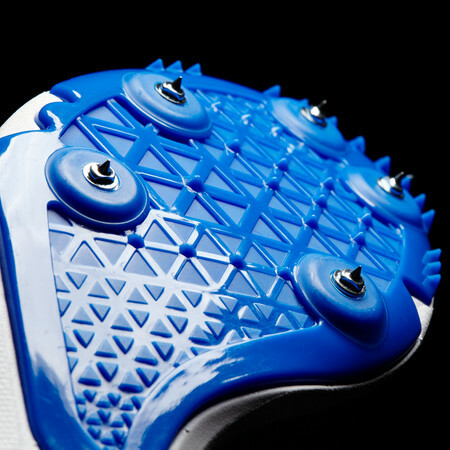 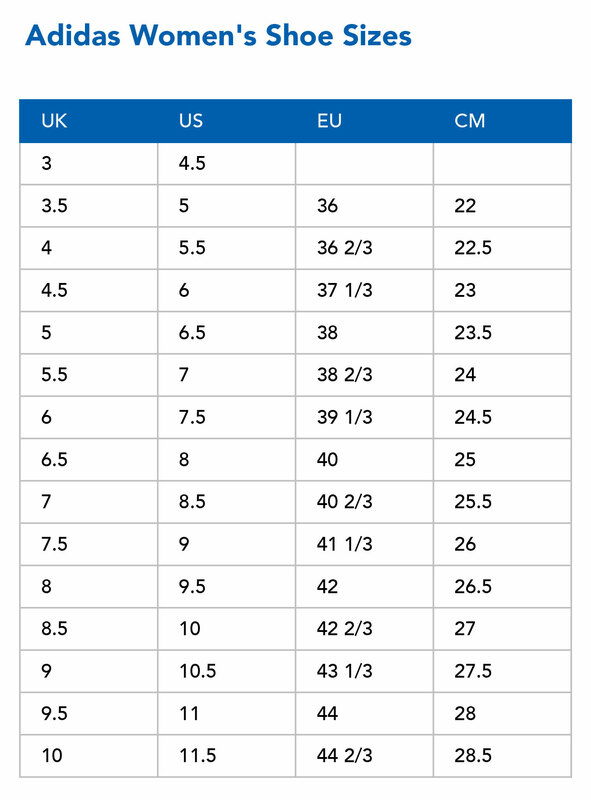 The spike plate gives maximum forward propulsion - 5 spike recesses for optimum traction. 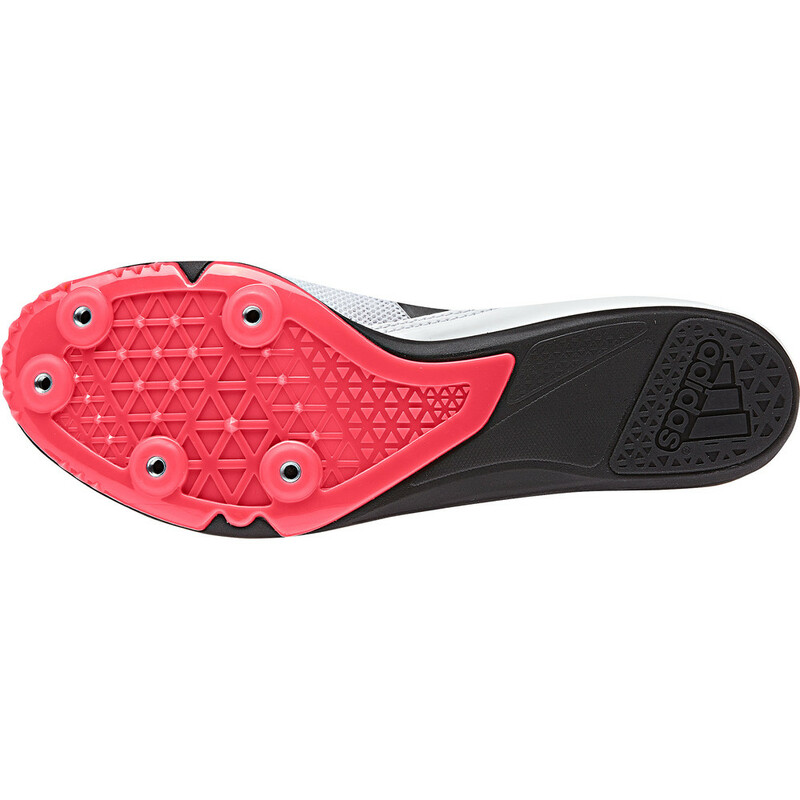 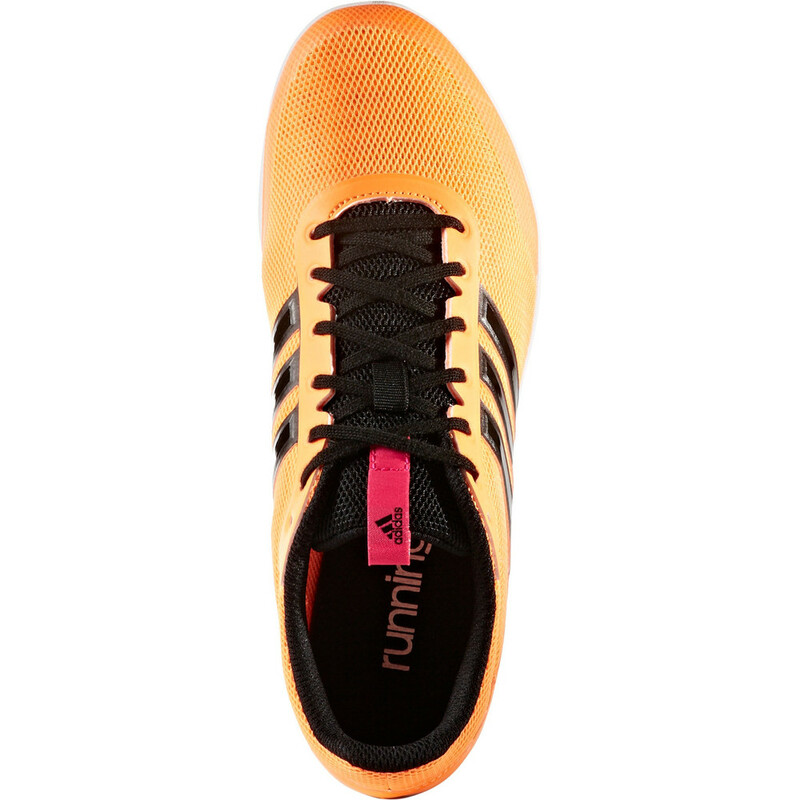 Adiwear rubber on the outsole for durability. 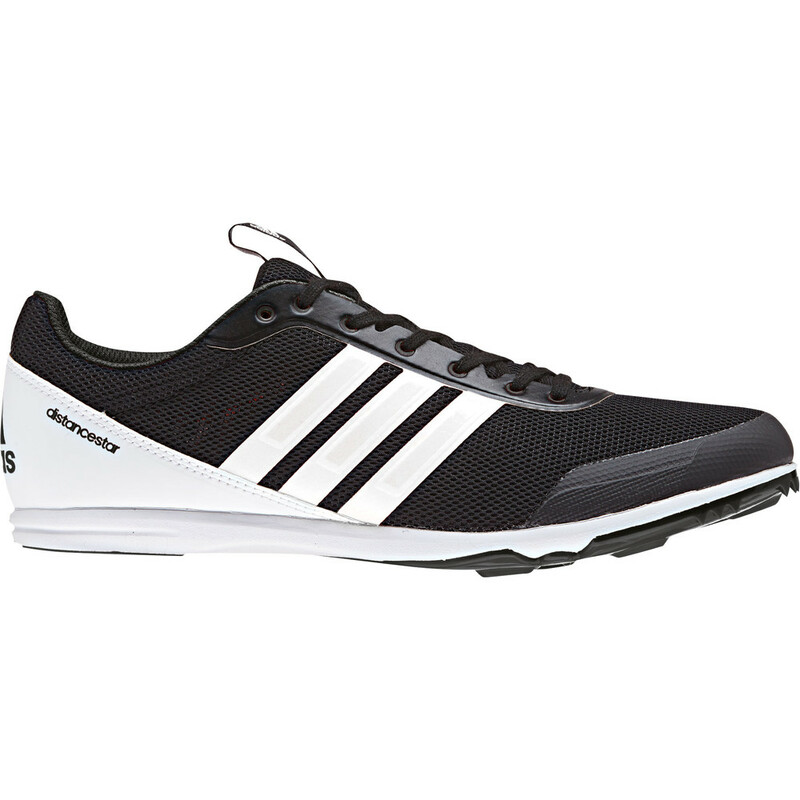 A mesh upper keeps you cool and the seamless forefoot reduces the risk of seam irritation. Synthetic overlays give support, to hold the feet firmly, however fast you’re running. A synthetic heel locks down the foot as you run round the bend.